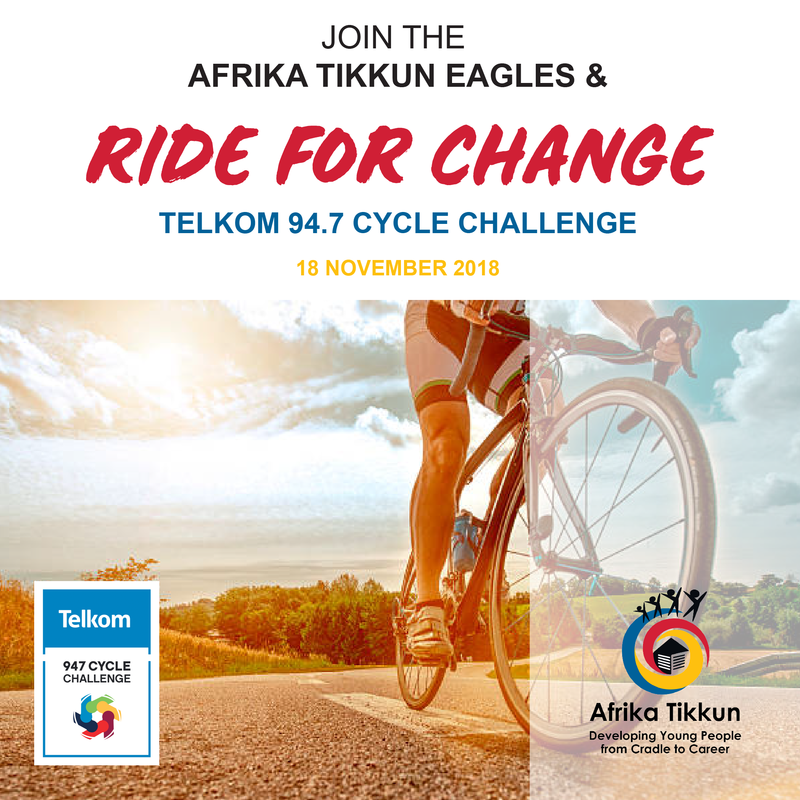 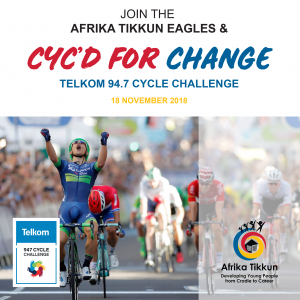 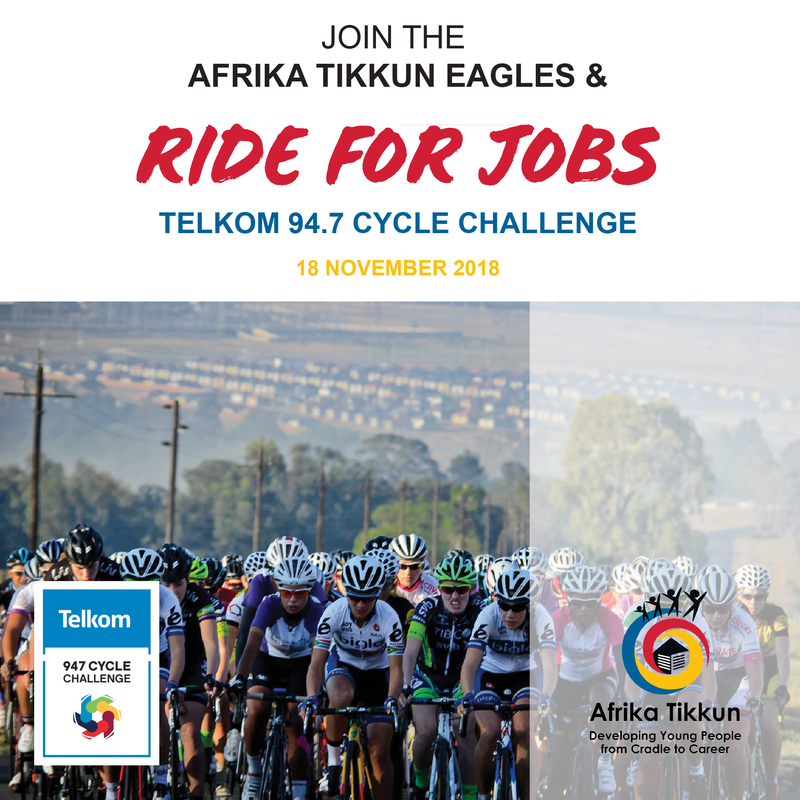 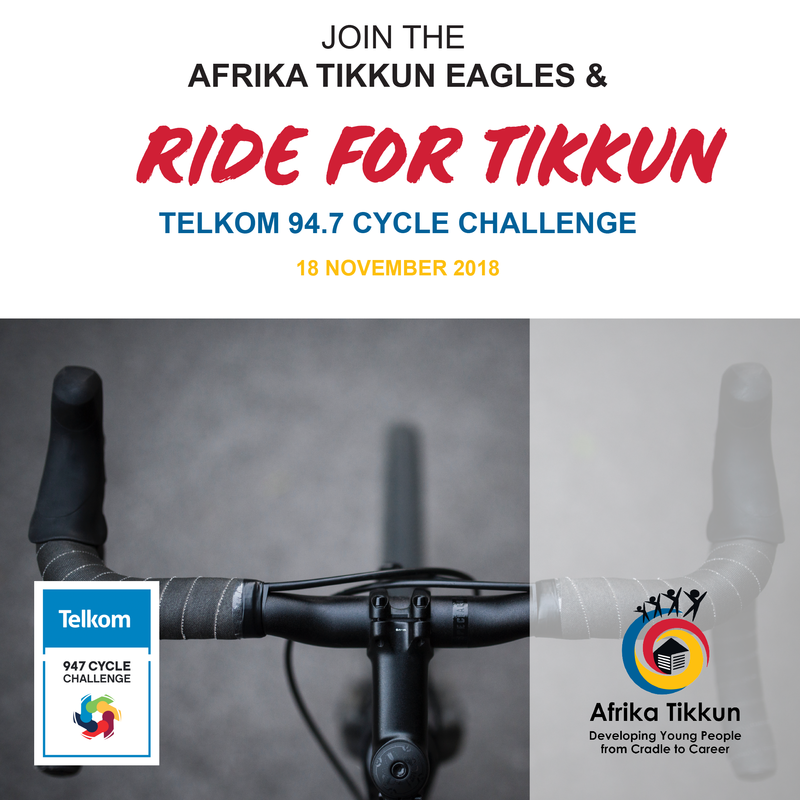 Please join us and the Tikkun Eagles for the 2018 Telkom 947 Cycle Challenge in Johannesburg. 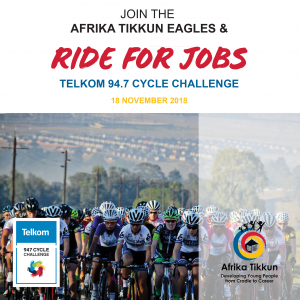 24/7 team managers Claire & Nicola on standby to assist riders anytime from now until race day. – Lots of prizes, give-aways and competitions. 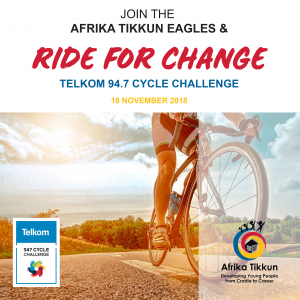 – All donors will receive a Section 18a certificate for tax alleviation purposes.